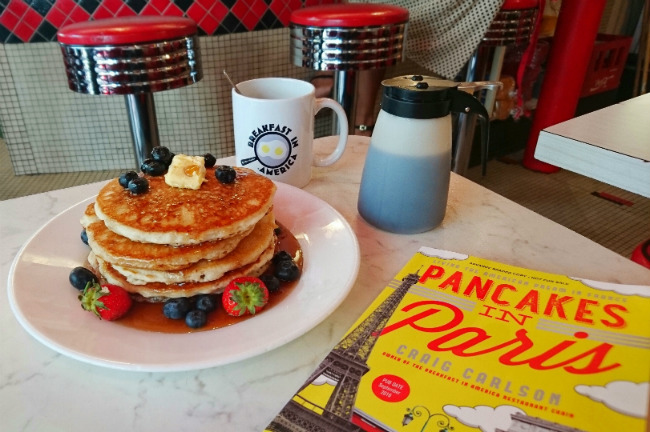 Pancakes in Paris: Craig Carlson's New Memoir on "Breakfast in America"
A bottomless cup of coffee? In Paris? C’est pas possible! That was just one thing American Craig Carlson missed in Paris years ago, along with a good old American breakfast—eggs, bacon, and pancakes slathered in real maple syrup. 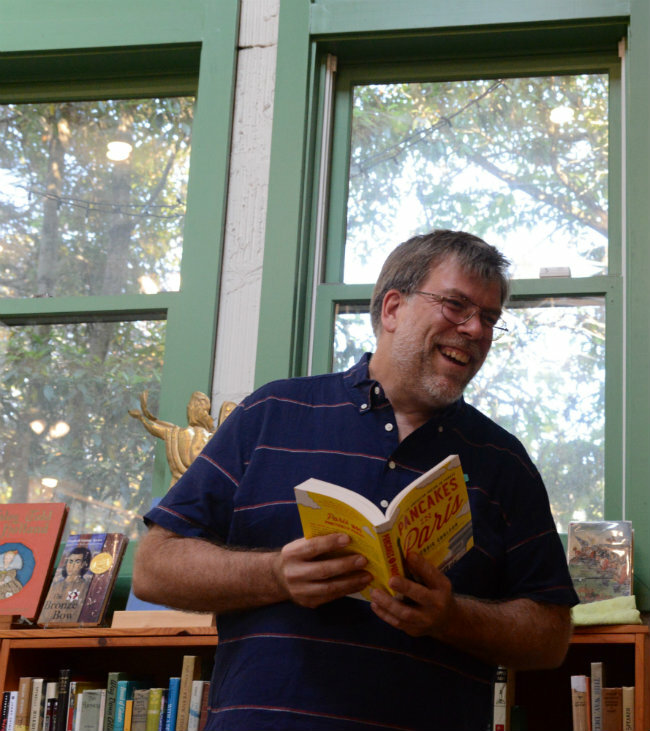 The pancake man—a former Hollywood scriptwriter—has now written a memoir that follows his stumbles and sprints to success. We might think he is a lucky man to have achieved his dream. And he is. But, as his story unfolds, we see that it was not just luck, but also his perseverance, the support of his friends, and his ability to think creatively that enabled him to succeed despite a barrage of obstacles. The memoir, titled Pancakes in Paris, is a useful “how to” manual (and, in some cases, a “how not to” manual) for each step of setting up a business in France—a good guide for fledgling entrepreneurs. Getting funding; finding space; working with architects, electricians, and suppliers; hiring employees (attempting to fire employees); marketing a concept; connecting with customers; depending on friends; building community—these “to do” tasks are at the core of this book. The memoir is also an entertaining story of life, in the author’s natural voice, full of heartwarming moments, inspirational quotes, and vividly drawn characters. If opportunity doesn’t knock, build a door. Milton Berle. As Thomas Jefferson said, “Every man should have two countries: his own and France. Craig has a deep-rooted love of France and relishes being “a goodwill ambassador between the two places” he loves. He admits to walking the fine line. When he began planning for BIA, he had crucial choices to make. 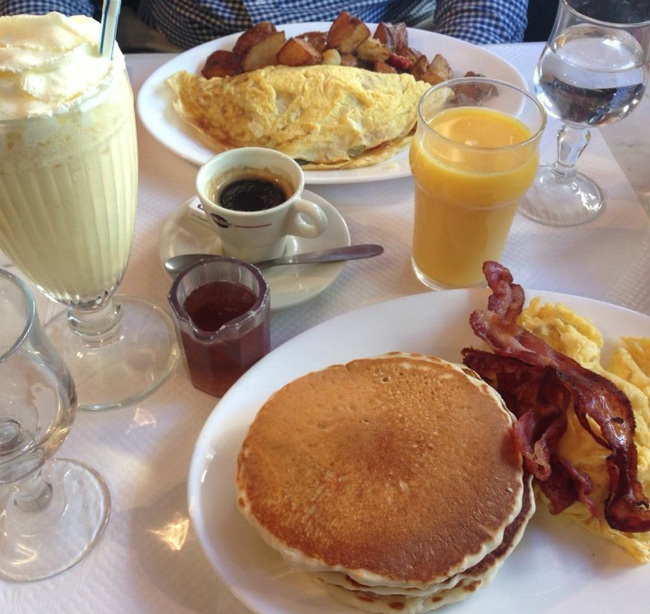 Should portions be huge like American breakfasts or reasonable like the French? Should savory and sweet be separate or on the same plate (and “can you please pass the ketchup?”). Should he serve U.S. or French wine? Should the juke box play Johnny Hallyday or Bruce Springsteen? Could he find the real taste of the American diner food through French source channels? Attacking each challenge with the ultimate goal of authenticity, he solved every puzzle in turn. The hardest food to find? American bacon. The book describes his search. First, the local butchers supplied lardon, but it was so filled with cartilage that it almost broke the slicer. Next came something akin to Canadian bacon, which wasn’t bad, but, after all, the diner was not going to be called “Breakfast in Saskatchewan.” Finally through a source that was supplying EuroDisney, he found the perfect product … and brought home the bacon. His first customers taught him how special it was to make a connection with new friends over food and conversation. His first employee taught him the darker side of French labor law. And his life in Paris taught him to love what we all appreciate about this great city. With all its ancient buildings, Paris had a wonderful way of reminding you how quickly life goes by, how we’re all just passing through—while at the same time, it forces you to slow down and enjoy every precious moment while you can. And let’s not forget about that bottomless cup of coffee. C’est possible! As much American coffee as you want—called jus de chaussette by the French. Come into any of the three Breakfast in America restaurants and savor endless sock juice. It will last until your last delicious bite of syrupy pancake. 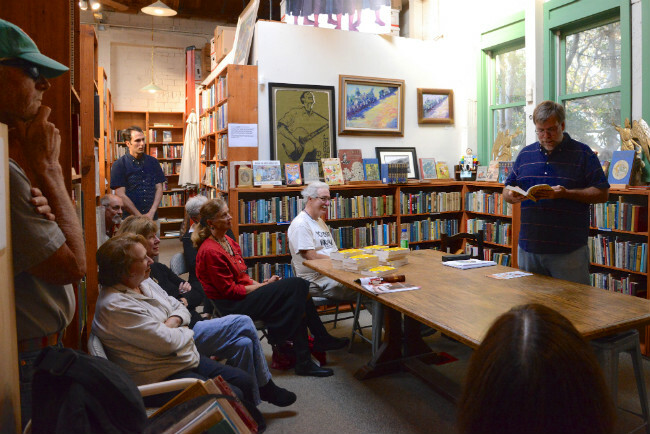 Craig Carlson will be presenting “Pancakes in Paris” at the Abbey Bookshop on Thursday, September 29 at 7 pm (29 Rue de la Parcheminerie, 75005). The public is invited. 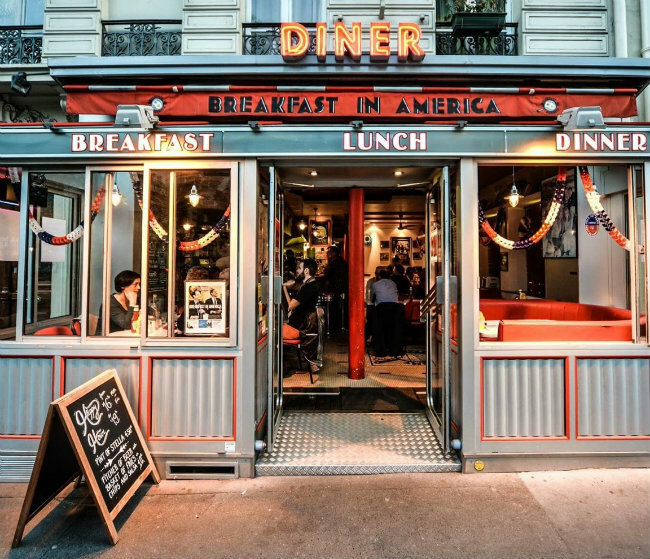 Visit Breakfast in America (for breakfast, lunch, or dinner) in the 5th arrondissement at 17 Rue des Écoles, in the 4th arrondissement at 4 rue Malher, and in the 2nd arrondissement at 41 Rue des Jeûneurs. Meredith Mullins is an internationally exhibited fine art photographer and instructor based in Paris. Her work is held in private and museum collections in Europe and the U.S. and can be seen at www.meredithmullins.artspan.com or in her award-winning book "In A Paris Moment." 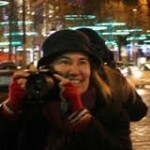 She is a writer for OIC Moments and other travel and education publications. I spend several weeks each year at my rental apt. in Paris…I have no idea why any American would even WANT this food while in this haven of “gastronomie”. I can go to iHop in NY anytime…I guess it’s novel to some Parisians, just like Hache (burgers) and the repulsive Starbucks that now blight many arrondissements throughout the city. I’ll pass, thanks. This guy built a better mousetrap, but even that gets old…I”m sure the American tourists who are thrilled with the ol’ familiar, safe, junk food joints (hello, MacDonalds!) que up for this stuff. I am lucky enough to have one just across the street and enjoy it once in a while. ; But not too often as the calories intake is … generous. And in response to Patou, Parisians don’t always eat high end food, they are curious for something different once in a while. 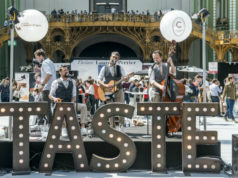 Americans living in Paris are happy to go as a ” taste buds trip back home” once in a while. As far as food, I believe that we need to be open minded as long as ingredients are good quality.And that’s what BIA is about. I think it is unfair to compare to Mc Donald. Same for French , Italian, Spanish, Asian .. quality ingredients and then let your tastebuds travel and enjoy ! As a French who traveled in America, I love american breakfast 🍳 If there’s one meal Americans do well that’s breakfast! This is the only place in Paris that has a real one, and since I can’t go to America every weekend for to have brunch, I love going here! This is the real price Paris pays to host those 45 million visitors. There are enough of them that apparently don’t value the Parisian experience that they go to a fake American experience just like then thousand of such establishments in their home country. Why did they come to Paris? As to the food: a giant stack of pure carbohydrate topped by liquid carbohydrate (ie. maple-flavoured sugar syrup). And the only kind of coffee that is “bottomless” is assuredly not worth drinking if you like coffee. I ask again: why do these visitors come to Paris? Well, one thing that remains remarkable and still special and rare, is to walk streets which are not dominated by multinational, lowest-common-denominator retail franchises. 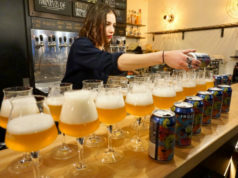 Like anywhere, it is a constant struggle by the tens of thousands of small owner-run businesses one sees in Paris (cafes, brasseries, restaurants, patisseries, clothing etc). Already thousands of brasseries have closed over the past decade or so. Every time a visitor spends their money in these franchise chain stores they inflict another injury to the classic Parisian shop. It is a death of a thousand cuts. 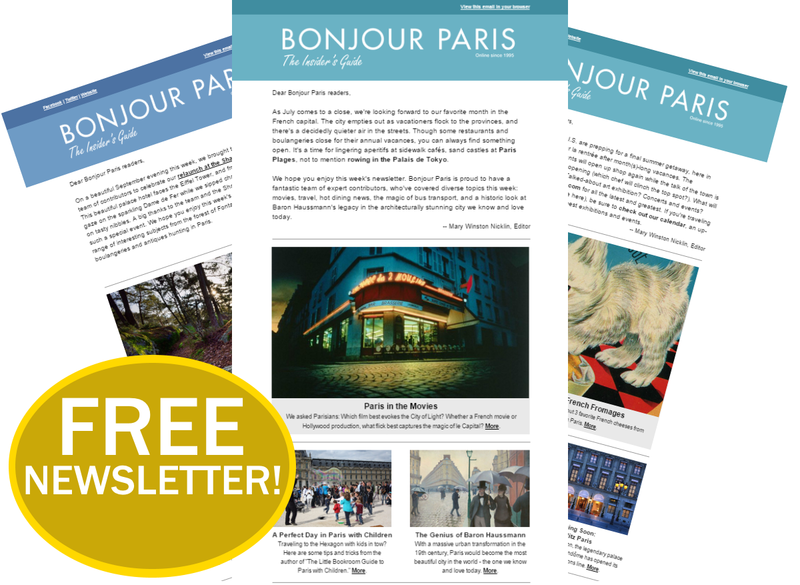 Do they really want to turn Paris into a identikit of hundreds of other “internationalized” cities around the world? What next, a 50 storey Trump hotel and casino, perhaps the Trump-Marais? It is rue Malher not Mahler, in the 4th arrondissement. Time for a reality check, my friends. 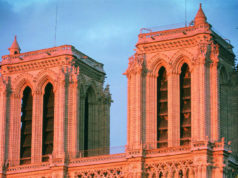 Paris is home to many cuisines, Italian, Japanese, Chinese, German, etc. , and these “intruders” would not exist if they were not supported. I don’t understand why American themed businesses are continuosly singled out as destroying “genuine old Paris.” I find, time and time again, that these establishments have more French people as patrons than others so exactly who is doing the destruction? Please re-read what you wrote. Can you tell the difference between all those others versus American? The American “restaurants” are all franchise operations usually run by giant multinationals (with national-subfranchise holders etc). Craig Carson’s BIA may be an owner-run business though it is already 3 sites in Paris, and it seems he has designs on it being a successful franchise. Ultimately that means only one thing: selling out to one of the existing giant food franchises (the mega companies that own the burger chains etc). The arguable statistic that these stores have more French clients than tourists does not support whatever case you are trying to build but actually condemns it: it is precisely because these chains undermine the native culture that makes them so dangerous. I lived/worked in Paris for a bit…including a stint @ B.I.A itself! The first time I went to Paris I was studying abroad, and one day, in the midst of a wave being homesick, I found B.I.A and decided to check it out. I sat by myself and ordered a milkshake and chili cheese fries: it did the trick–it brought just a small, piece of home to me that day. 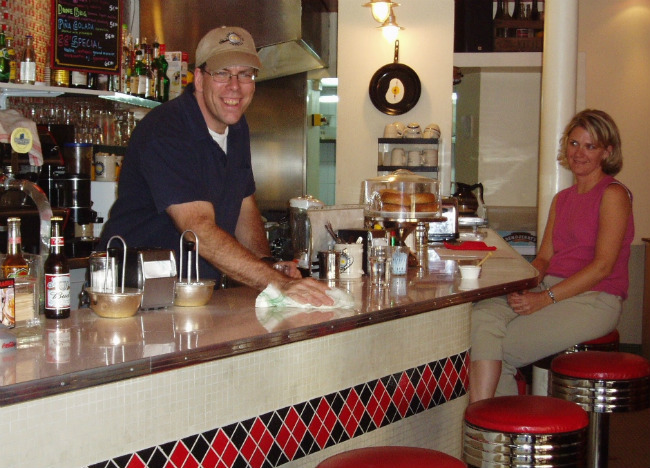 I wrote this shortly upon returning home… here is my ‘insider’s American view’ on the diner! I’ve worked in a lot of restaurants. Some upscale, where balancing martinis became a forte and others where getting spaghetti sauce on my shirt was a regular occurrence. 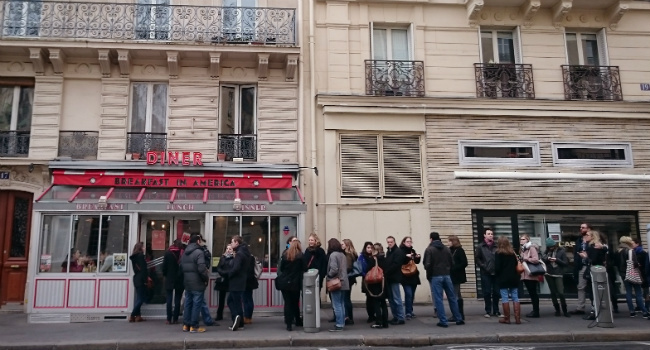 None though, as memorable or fun as an authentic American diner in Paris, France. After college I found myself in the City of Light teaching English for a year…and also very poor. What started out as a way to make a couple extra bucks turned out to be the perfect place to give me a slice of home when I needed it most. 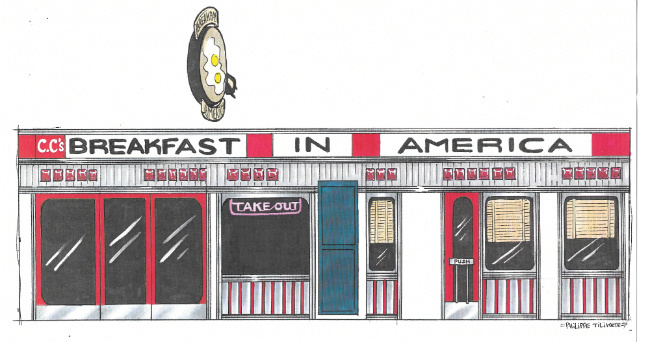 Americans take diners and their classic fare for granted. Their tile floors, paper place mats, plush leather booths and bar stools get mistaken for being cheesy and over the top. Au contraire. 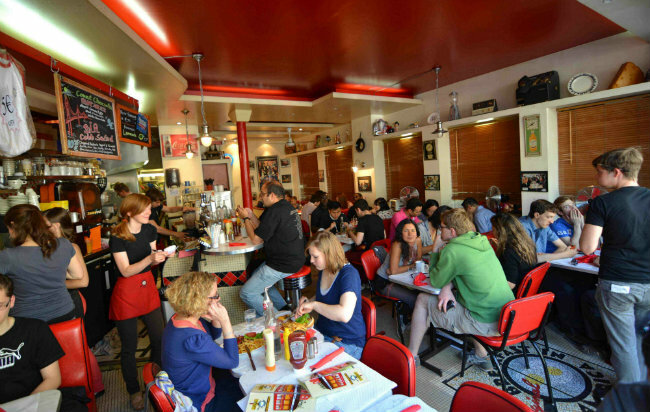 All the elements of diners reflect the true essence of Americans. We’re as loud and cheerful as the music streaming out of the jukebox and we’re as hearty as the food served. Life in Paris is fast-paced; Breakfast in America was a place to sit down and enjoy a bottomless cup of coffee and just catch up with the world. It wasn’t fancy, but it was real. Upscale restaurants often try to operate seamlessly but diners are the complete opposite. They are raw and don’t try to hide the work that goes into running a restaurant. We rolled silverware in red, paper napkins and washed glasses in front of customers–often squeezed next to a diner stuffing their face with chili cheese fries. Shouting milkshake orders across the dining room wasn’t uncommon, nor was getting the whole restaurant involved in a karaoke session–Michael Jackson and Queen were favorites. People loved to take pictures of their banana splits, and were often tickled by my accent. B.I.A constantly had a line of people out the door. There was a nice mix of American ex-pats or kids studying abroad, travelers, and of course, French people that just wanted a big ol’ American cheeseburger. More than pancakes, bacon and eggs, and Dr. Pepper, people came for one thing: an American experience. There is something truly special about American diners. There’s a tangible…je ne sais quoi. Comfort? Tradition? All of the above. I just didn’t realize it until I moved 4,000 miles away and started working in one. I like to go from time to time. What’s great about Paris is that it offers everything. Love the lively atmosphere. Fun students too, often. I enjoy it more during the off times when it’s not so crowded.. I live in the rue des Ecole area. Glad to know that it’s there. An American jewel. I was just there on April 19th, 2017 with my cousin. I had a great grilled cheese (real cheese by the way) and enjoyed it immensely. There’s a time and a place for everything. This diner is also just up the street from my hotel that I’ve been staying at for the past five years when I visit in April.